Casenet is an engineering driven company that helps improve the lives of millions of people. Our engineers create and deliver world class, enterprise software solutions for our customers who in turn are able to provide great healthcare to their clients. You will be joining a great team that is developing new features for our TruCare platform with cutting edge technology. We’re looking for engineers who can bring fresh ideas to all areas of our business. As a software engineer you will work on specific projects critical to the needs of our healthcare customers. Our engineers are talented, energetic, and enthusiastic to create new solutions across the full-stack as we continue to grow. While you will be challenged to create solutions and work with cool people you will have tons of opportunity to learn as we move into the next generation of our products. 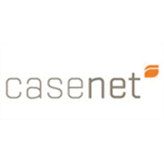 Want to get notified about new jobs at Casenet?